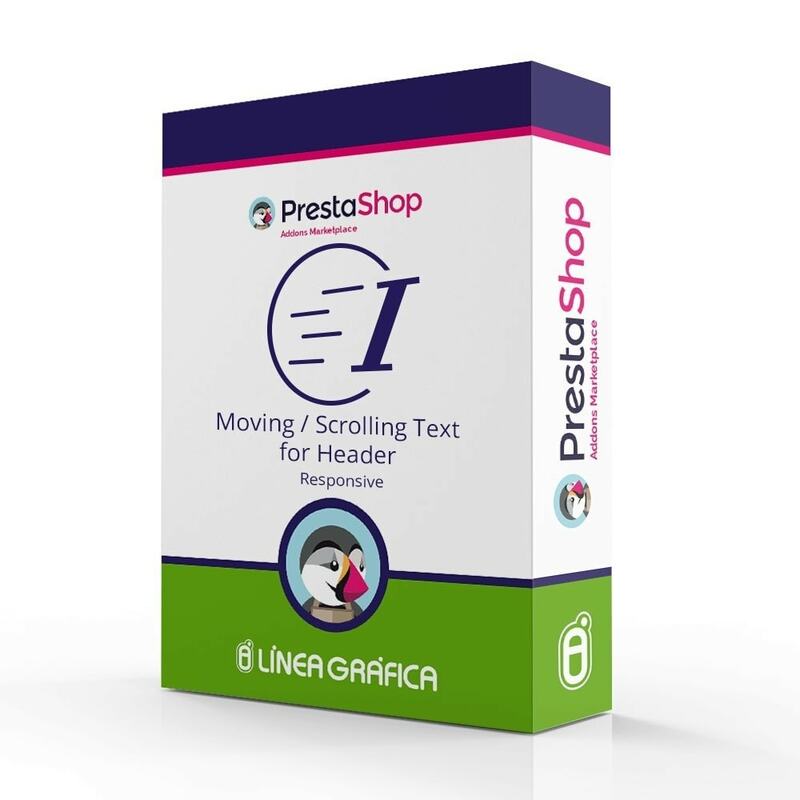 This module allows you to add a moving text into the header of your store an display catchy promotional messages to get your client's attention and increase your sale. 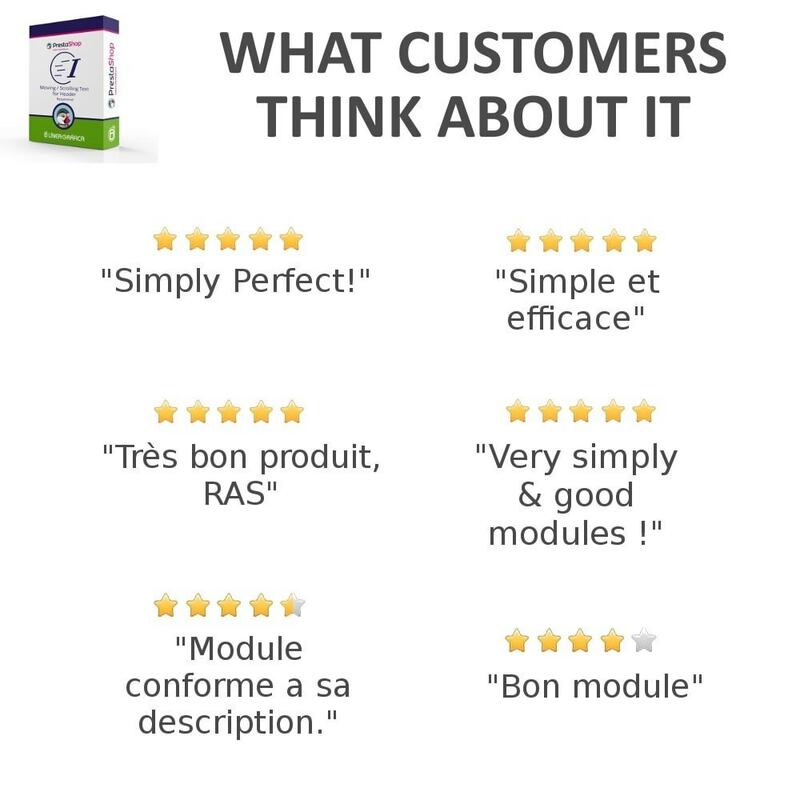 The module is multilingual, which means that you can set a different message and a different link for each language of your shop in order to communicate in the language of all your customers (multilingual stores). 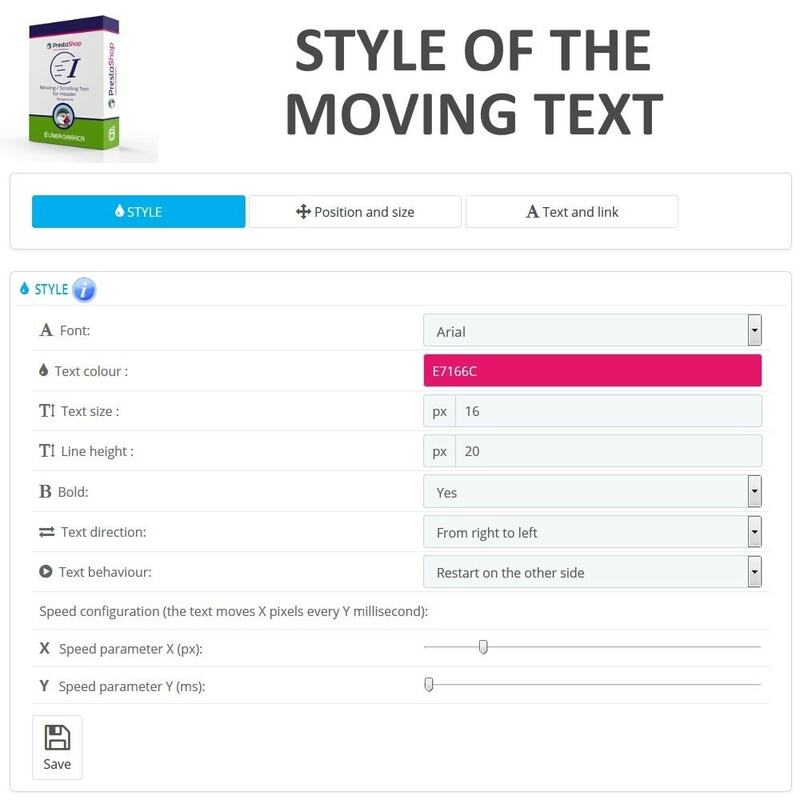 Besides, the moving text is saved in UTF-8 into the database, so you can use different alphabets for the moving text (Latin, Cyrillic, Greek, Arabic, Chinese...). 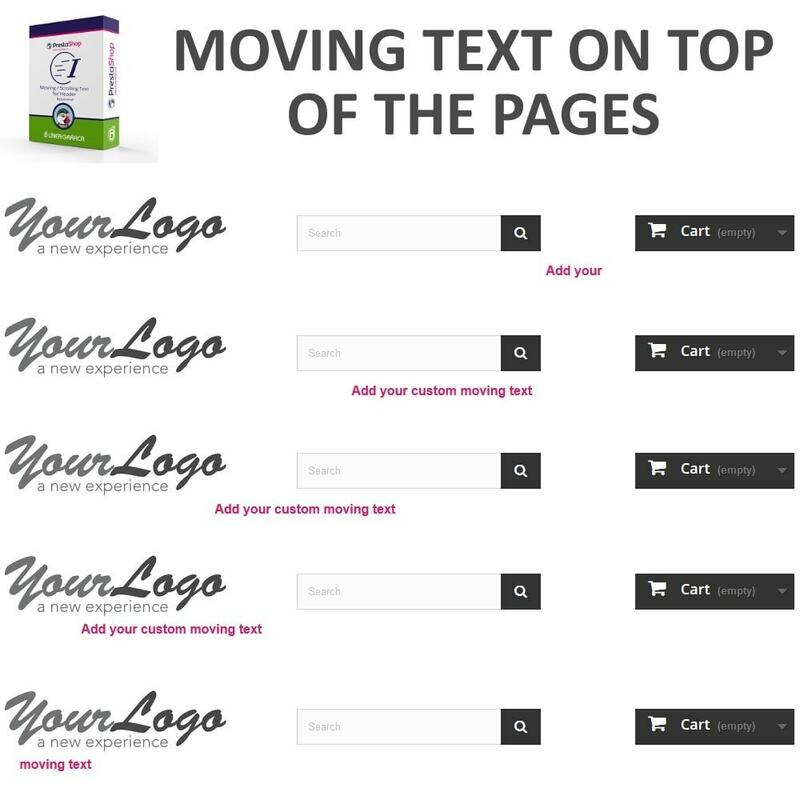 You can customize the font, color, text size, direction, behavior (restarts on the other side, stops moving or bounces back and forth) and speed, as well as the banner size and position. 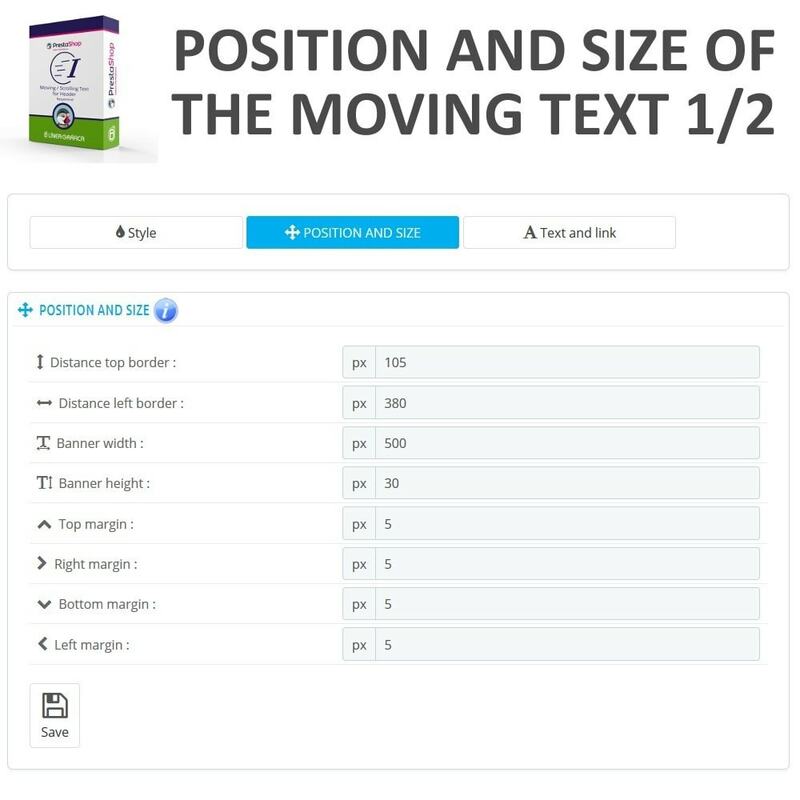 The moving text is added inside the header of the shop (hook Top) which is common to all pages, so the moving text will appear on top of all the pages of the shop. 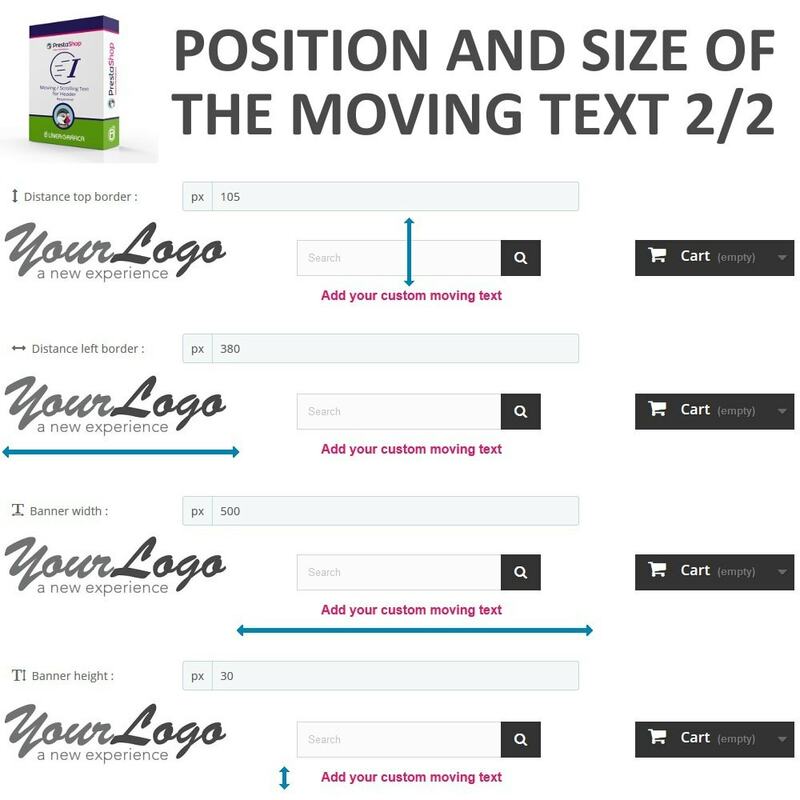 From the module interface, you can easily move the text inside your header to put it wherever you want and avoid placing it over other elements. 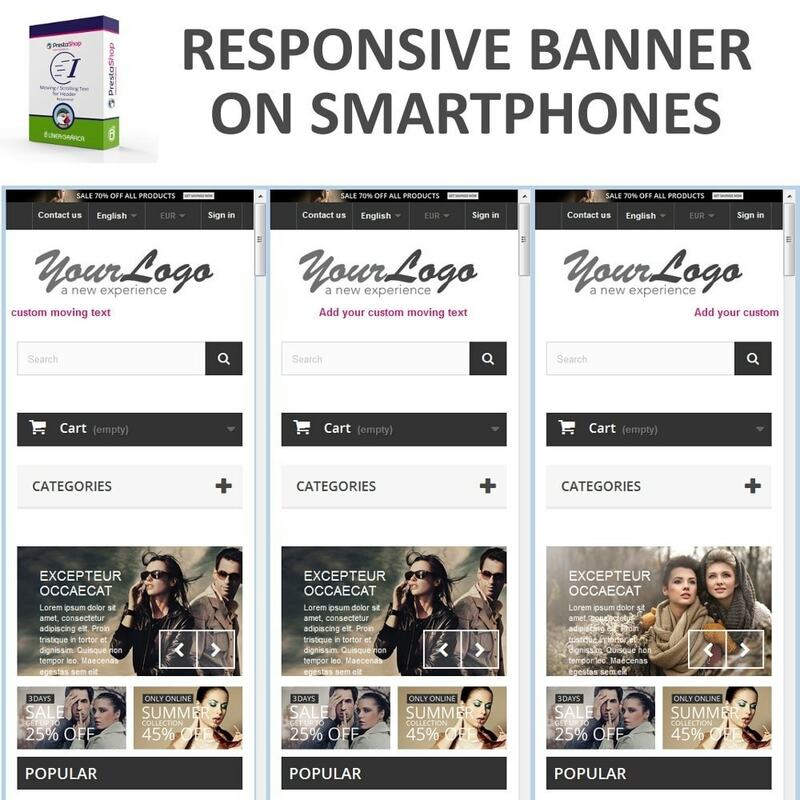 The banner is responsive and will be displayed responsively on phones. Besides, the background of the banner is transparent in order to appear correctly on all templates. With this module, you can inform your customers about special offers and the latest news. 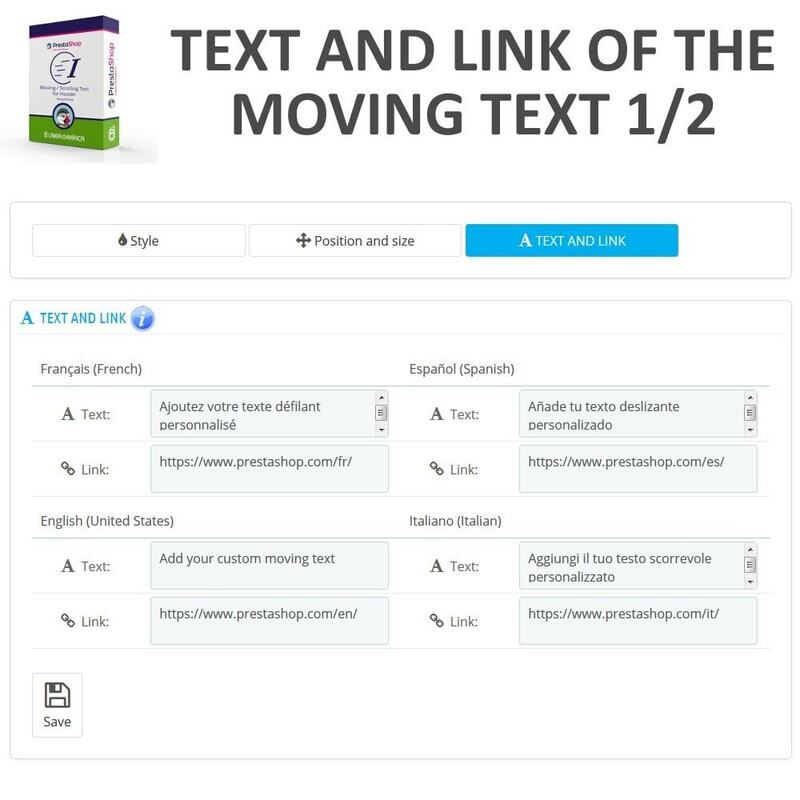 The module significantly increases the visibility of the message in order to be read by the largest number of people. 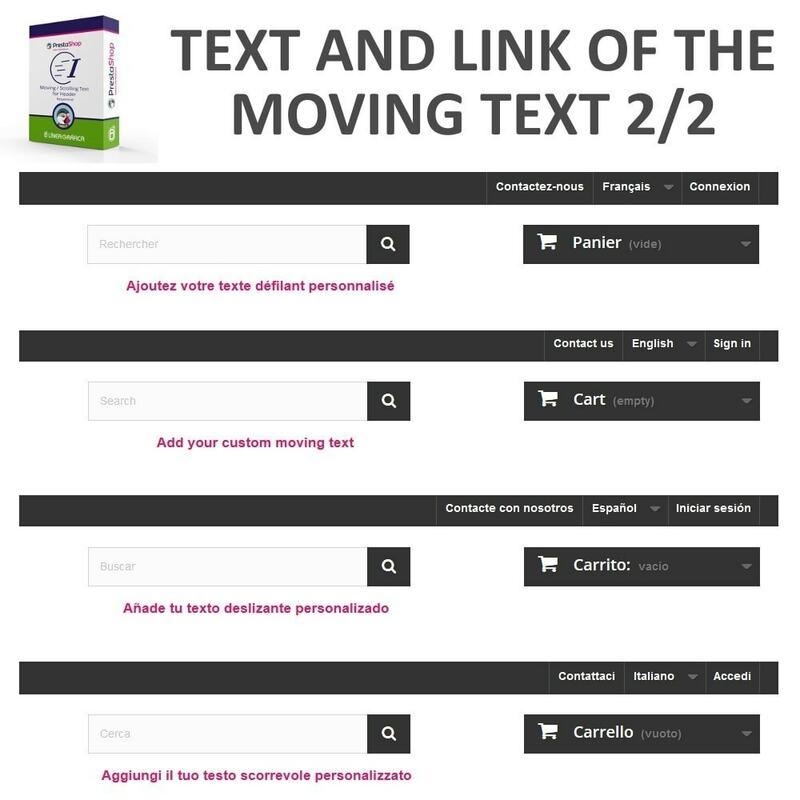 The multilingual option is also a great plus since it allows you to communicate in all the languages of your store. 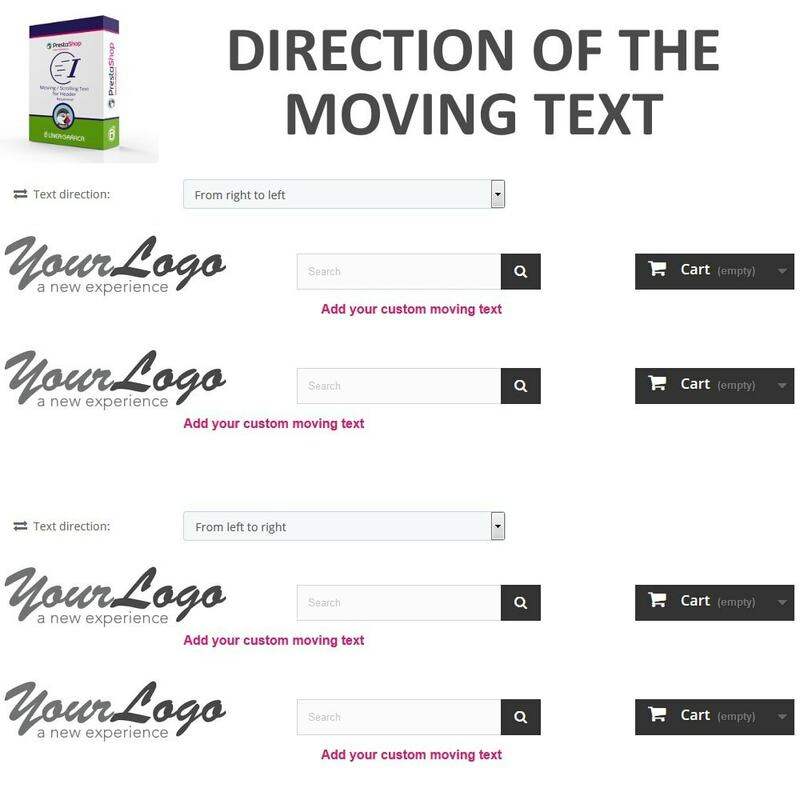 By displaying a different message by language, you make sure that all your customers will understand the message, which will have a positive impact on your conversion rate. 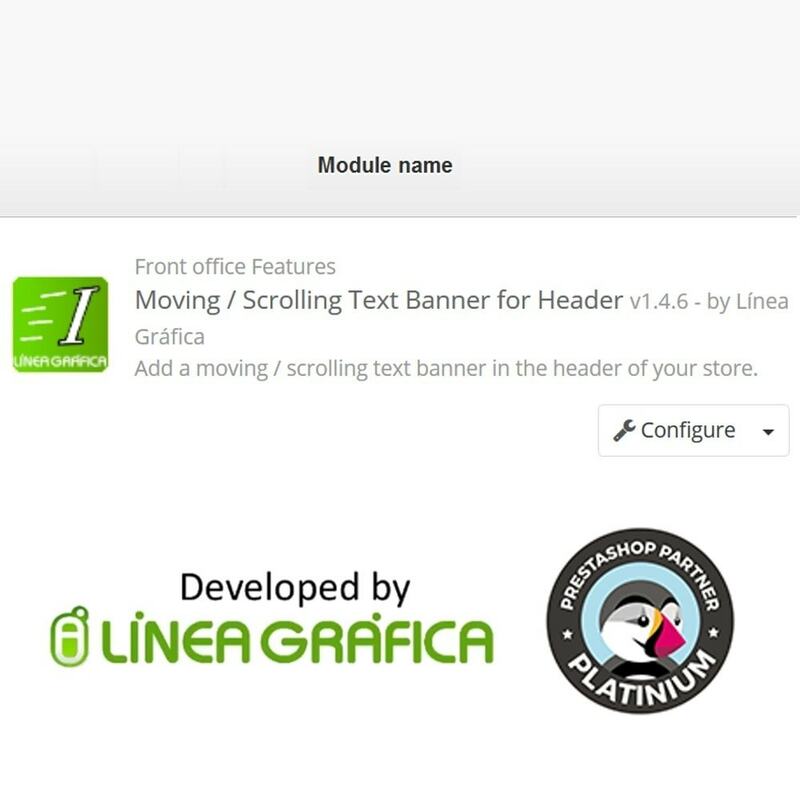 The module is compatible with multistore, you can display the moving text on several of your shops and choose a different text, link, position or style for each shop.